The forum is proud to announce its first giveaway! 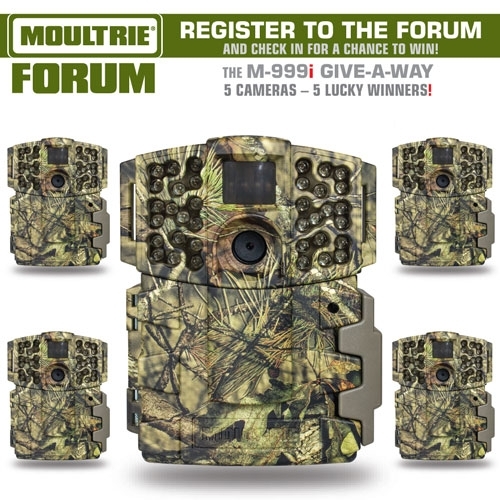 Beginning today, 8/25/26 and ending 9/2/16, any registered member checking into this thread is eligible to win one (1) of five (5) Moultrie M-999i game cameras. It's that simple. Just leave a post here saying "Checked in." 5 lucky forum members will be drawn at random on Monday, 9/6/16 and winners announced. Good luck to all, and thanks your continued support of Moultrie, the world's leader in game cameras and feeders.